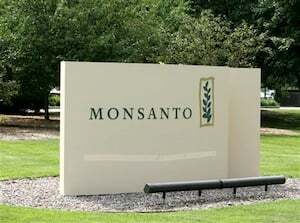 Two U.S. workers are suing Monsanto over charges that the company’s Roundup herbicide caused their cancers while accusing the agrochemical giant of deliberately misleading the public and regulators about the dangers of being exposed to its product. The suits, both filed separately last week, come six months after the World Health Organization declared glyphosate, the key weed-killing ingredient in the herbicide, a “probable carcinogen.” Earlier this month the California Environmental Protection Agency also announced it would begin labeling the chemical with the same designation. One suit, filed Sept. 22 in a New York federal court, claims that plaintiff Judi Fitzgerald’s exposure to Roundup while working at a horticultural products company in the 1990s was a contributing cause of her 2012 leukemia diagnosis. Filed on the same day in a Los Angeles District Court, the second suit (pdf) charges that former farm worker Enrique Rubio’s weekly exposure to Roundup products—which he sprayed on fruit and vegetable fields in Oregon and California— was “a substantial and contributing facto[r] in causing [his] grave injuries,” referring to his 1995 bone cancer diagnosis. “Of course, history has shown that not to be truth,” the statement continues, citing the WHO’s recent designation. “Monsanto led a prolonged campaign of misinformation to convince government agencies, farmers and the general population that roundup was safe,” it adds. The lawsuits further claim that the federal Environmental Protection Agency (EPA) changed an initial classification for glyphosate from “possibly carcinogenic to humans” to “evidence of non-carcinogenicity in humans” after pressure from Monsanto. In a related development, the EPA announced Monday a series of landmark rules to protect agricultural workers from hazardous chemical exposure. One of Rubio’s attorneys, Robin Greenwald, said she anticipates more suits targeting Monsanto and other biotech companies to follow, as awareness over glyphosate’s cancer-causing properties become more widely known. “I believe there will be hundreds of lawsuits brought over time,” Greenwald said. The U.S. lawsuits follows a French court ruling earlier this month that found Monsanto “responsible” for the health problems suffered by a local farmer, who argued that the company’s Lasso herbicide did not have proper warning labels. That decision upheld a lower court conviction.